This was an ad created by FireTide Creative in several print publications to gain exposure for our services. 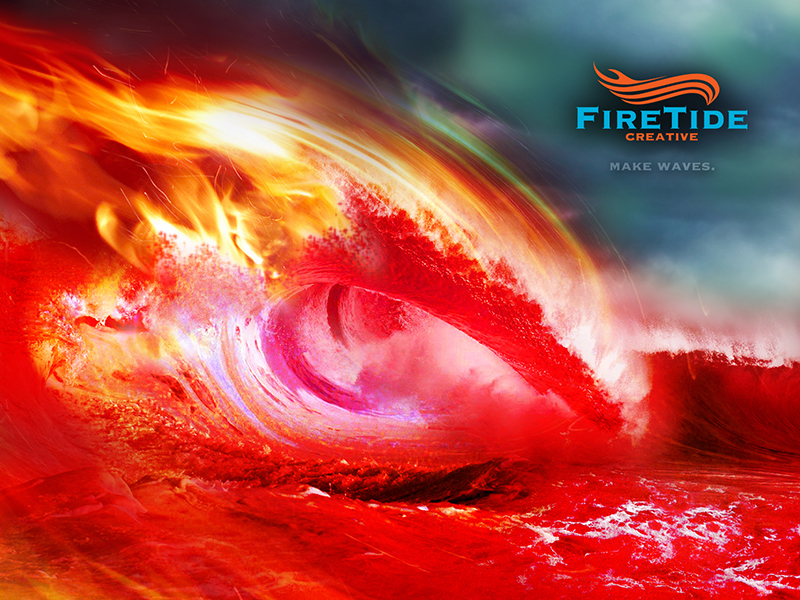 This piece was part of that campaign that showcased the image I manipulated to look like a lava wave with fire and sparks fuming off it as it crashes into the lake of fire. This image was the wallpaper art we featured for download on our website. I also created the logo for this entity.